WinStar Farm has promoted David Hanley to General Manager at the Versailles-based operation. Hanley had served at WinStar as the Director of Development, working in the areas of client development and bloodstock development, prior to his recent promotion. An Ireland native, Hanley possesses over 30 years of experience working in the Thoroughbred industry, both in Europe and North America. He got his start in Europe, where he worked on both horse farms and racetracks, mostly in Ireland. Hanley served as private trainer for Whitechurch Stud, and also as a public trainer, breeder and pinhooker. He conditioned several Group and Graded winners, including Grade 1 winner Golden Apples (Ire) – a filly he was also the co-breeder of. 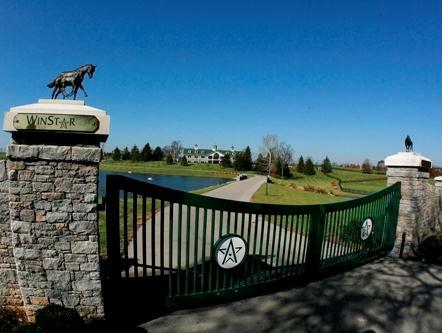 In 2001, Hanley and his family moved to Lexington, KY to expand his bloodstock interests. He has had a hand in breeding, buying or pinhooking such top American-based horses as Grade 1 winners Pool Play, Forest Secrets and Ultimate Eagle, as well as many other graded stakes winners.